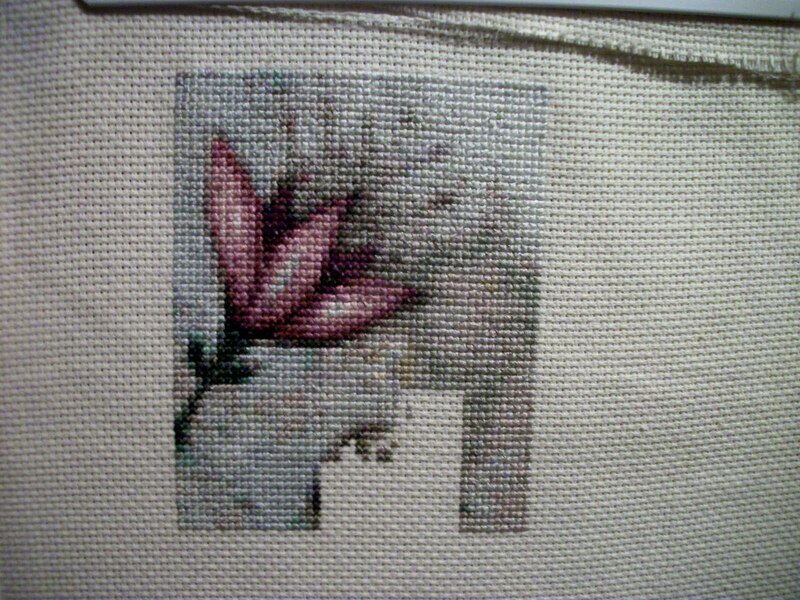 Well I can see a light at the end of the tunnel, I am now 2700 stitches into this ! Only 1300 more stitches until I finish page 1 Yeah !! I am now working on the top of the fairy's head, it's pretty much all confetti so it is pretty slow going. I am going to finish out this page and then try to make some headway on Magic Witch. 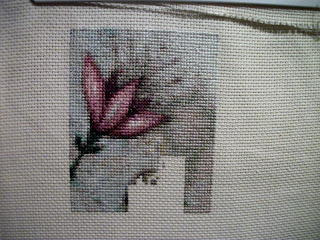 I restarted her this past week on 20ct even-weave but i am really not happy with the fabric so I am going to restart her yet again on 18ct Aida. I have also decided that I will be restarting my Nimue' "La Pipe", I just hate the fabric way to much to finish it so i might as well do a restart on it . At least then I will feel like stitching on it, I want to have it done and framed so that I can have it ready for Larry's Birthday in November.